VR where "reality comes to you" with brands like Zolo offering modified audio reality, and VR headsets and Nebula projector. Automated travel, where "you go to reality" where you don't actually drive but robots do it for you, initially on the ground but eventually in the air. We had robots flying us for most of modern aircraft flying with pilots at critical or exceptional points. So which would you prefer? stay at home with a VR gym and VR trips to other places, with a robot visiting those places and transmitting back to you images, with augmented reality so your friend's robot visits it to and projects a VR of your friend, as if you both met on holiday but neither physically were proximate? stop owning a vehicle? Just "Alexa, get me a car" or "OK Google, drive me" and a robotic vehicle pulls up and drives. stop having suitcases when traveling. You loan clothing and you select your products in a VR so you know what they'd look like, find your favorites, then when you travel a robot in your destination selects pre-cleaned items and has then drone delivered to you and then when you leave to leave the dirty clothes for drone collection and they are cleaned then ready to be loaned by someone else. Imagine not flying with 4 pair of shoes. Imagine how much closet space and landfill space savings. Fashion industy would be totally transformed. telework more so you do not congest travel to an office but you stay home and collaborate more. telework less - automated robotic driving removes congestion via them driving at speed much closer to each other so you can work when on the road and you and colleagues delivered to a shared location. What would you prefer? Discuss! There are a few things in this that get me excited because of the sci-fi fan and futurist inside of me. But some of it, I think is a bit too out there for Mass adoption. I think Alexa and Google Assistant automated driving is inevitable; you can already call an Uber. VR is mostly a fad, or a niche idea imo. The games and experiences on VR are cool, but they aren't enough to make someone prefer to experience something on rails vs in person. That's my opinion though. Thanks for challenging us with this post! While VR and automated travel is no doubt in our not too distant futures as a daily way of life (for all, not just the rich ) I think I will be staying old school for quite a while, I like going places myself and generally being in as much control of my daily life as I can. I've yet to mess with a VR experience which as made me feel fully immersed to make me believe what I'm seeing or doing, introduction of external element effects such as force feedback, wind, heat, cold etc may change my mind. While VR and automated travel is no doubt in our not too distant futures as a daily way of life (for all, not just the rich ) I think I will be staying old school for quite a while, I like going places myself and generally being in as much control of my daily life as I can. I totally agree with you. There's something about actually going out and doing things vs playing mind games with yourself . I'd rather get the real feeling of being on a rollercoaster then to just sit down, have glasses on, and pretend I'm on a rollercoaster. I've tried VR and have not been impressed. I think it's still at it's infancy. To me, the times that I've tried it, I couldn't get fully immersed in it. Though it's cool, it doesn't make me feel like I'm really there. It kind of reminds me of when 3D movies came out with the 3D glasses. I have a Samsung 4K TV that has that feature, though it's neat, wasn't too impressed. And now, we know where the 3D movies went ..... heck, even Netflix doesn't have a 3D movie section anymore. Therefore, I think VR still has some ways to go before it would really be immersive. Especially for home use. Would you take a driverless car so you can not drive and do other things in the time? Would you trust a robot more than yourself? That is what in major cities with good public transport a lot of people do. So they meet face to face, travel. Automated vehicles with fewer humans involved is the trend. 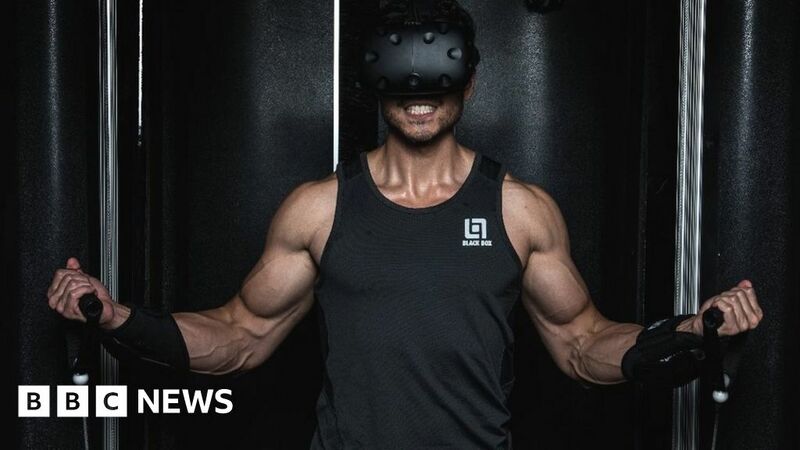 A start-up at the CES tech show believes virtual reality could revolutionise how we use gyms. Directed by Jonathan Mostow. With Bruce Willis, Radha Mitchell, Ving Rhames, Rosamund Pike. 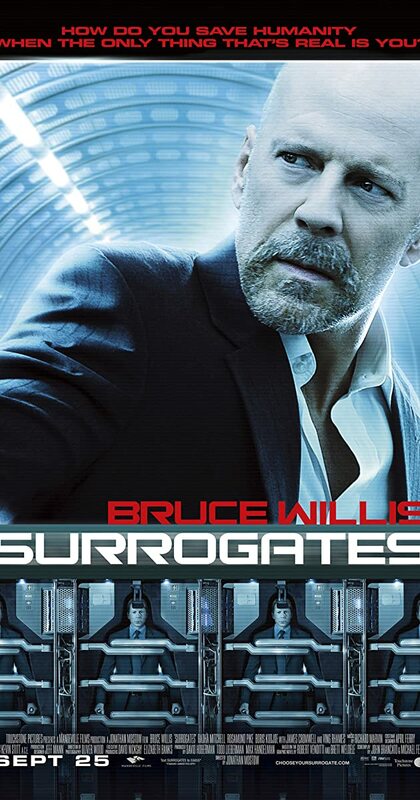 Set in a futuristic world where humans live in isolation and interact through surrogate robots, a cop is forced to leave his home for the first time in years in order to investigate the murders of others' surrogates. Right now I'm personally basically traveling non-driving using trains and bikes and use Webex a lot to meet people, so I'm doing all of these to a low-tech degree. I can see the evolution though. About to get on a flight to somewhere to meet people and wondering if the benefit of that trip could sometime "soon" be done in a VR suit. Think of the robots on Mars. They are set programmed for certain task vs if a human was on the planet would use the senses except smell you give a better representation of what is happening around. A robot can only produces so much as the available technology at the time vs human. Also would turn signals be incorporated into use as most of the human population has forgotten about such a device. It comes down to sensors vs human reaction. I agree! VR technology is not mature yet. The situation for VR is a bit different from what have seen from science fiction films. I too, can't totally immerse myself into a VR scenario, thus VR is not a big attraction for me. Maybe it will grown to be much fascinating, then I will see to it! Automated driving sounds great, hopefully those who can't drive can benefit from it, such as my mom. I wonder where it would lead us to. They are similar to Google glasses but it's all housed in the frames of regular looking albeit large glasses. I can see this benefiting many people and uses throughout their workday. I for one would use this if I could pair it to an endoscope so when I work on cars I can see inside the engine to see if a full teardown would be necessary as well as computer work. So your preference is to travel and live in the real world and use robots to move you around? Hahahahahaha! I know it’s the future. But man... with the way it is now, I wouldn’t trust a car to drive me around with no one at the helm. I think it will become illegal to drive by human. The technology will go through: non existent, barely works, works in special situations, works well, works better than humans, mandatory. Humans have emotions, are distracted, fall ill.
Once the machine is good enough and better than humans, the argument will appear it is too dangerous to let the human control. The question is not whether, but when. Oh I agree. But as it stands now, with the current technology, I’m not comfortable with it. Correct, self driving vehicles are illegal now as they are not mature and not safe enough. But we'll hit the opposite where they are safer than human drivers then you'd find insurance lower for self driving, then eventually illegal to drive. That will then change the relationship we have with being on a road to how people treat trains now of it becomes work or play time. With removal of the slow human reaction times, vehicles can go faster and closer together, so will reduce congestion. I see international standards making cars share their intentions so the other cars get out of the way such as entering and leaving a freeway. What I can't predict is when. It would take just one high profile failure to delay it decades. But it is inevitable. I bike to work and encounter drivers and I know a human is not far off murderous gjven they look at their mobile or simply don't look. I see the smashed plastic bumpers piled on the side from not looking and not braking. I see the traffic jams due to "accidents" (actually just stupidity cause). I see cities saying there is no more land to concrete over and Max road space already exists so as population increases the only options are to ban humans from driving once self driving vehicles are consistently better. In some of the high population richer cities, we're already seeing non car ownership due to parking time and parking costs and professional drivers driving around - we call them taxis. We have now phone app which summon a vehicle (Uber, Lyft). Once the app communicates with a robot driven car it's digital end to end. Then machine learning will observe then predict demand. Then the electric vehicle recharges at automated recharging places which replace gas stations in quieter periods. The cities which embrace this will make more productive populations which they can then tax more so they become richer, then the poorer cities have to follow. If this sounds far fetched then remember the horse. You are asking about the future so don't quote me on my current opinions on these things. I like the idea of virtual reality but as entertainment, at least for me, I only see it being used for video games or movies. I have traveled a lot over my limited years and nothing can replace or simulate the experiences I've had. For example, I once hiked over Lake Louise in Canada and the full hike was difficult but getting to the top was like nothing else, I mean nearly tear-jerkingly beautiful. But I highly doubt that it would be anything like that if I got to experience it through a robot. Sure, I'd get to see the same things, but would I get to feed a cute chipmunk or get to stop at a wonderful little tea shack on the way? Doubtful. And the view cannot be replicated on a screen, the breeze blowing up the cliff I was standing on, the fresh air, all of it. I mean I am young, but I doubt I'm going to live to see the day where technology can replicate an experience like that. However, I think it would be totally cool if I could preview a place in virtual reality and use that to decide if I would want to go there myself. Self-driving cars I am a little more open to. Being a man, I like to be in control, but I can’t be in control of the car if the car is driving, I also really like driving so self-driving cars kind of ruin that as well. but there definitely are times that I do not like driving such as bad traffic, or when I’m trying to eat and drive or maybe I have a long drive that overreaches my driving enjoyment threshold. In those cases, I would love to have a car that drives itself but when I want to I had better be able to take control. Good sum up, I guess I do like to feel this world by myself. And as I'm driving better and better now, I don't think driving as a burden, but a little help on the road sounds wonderful.